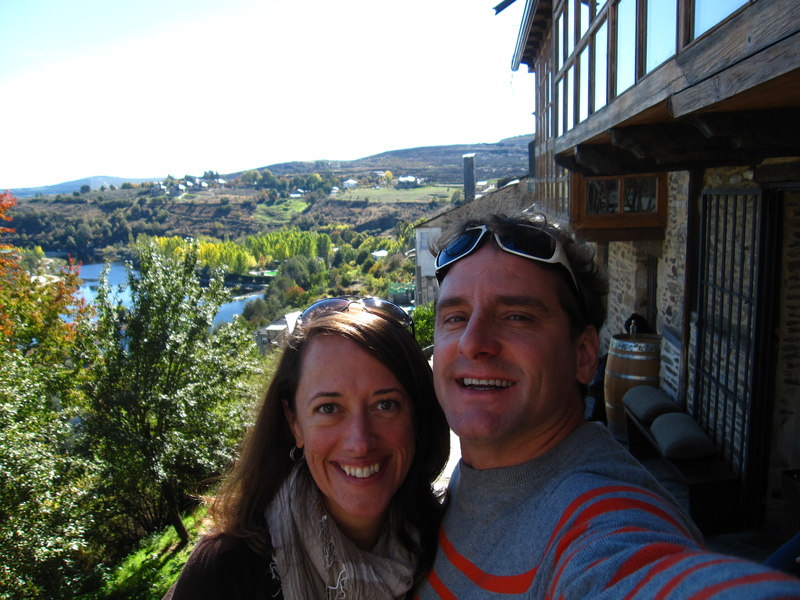 Our friends Daniel and Tracie were in Spain last week – he has family in Segovia, so they come every year and try to tie in some travel someplace else before they head there. This year they went to the Canary Islands, so when they came back through Madrid, they hopped in a car to meet up with us. 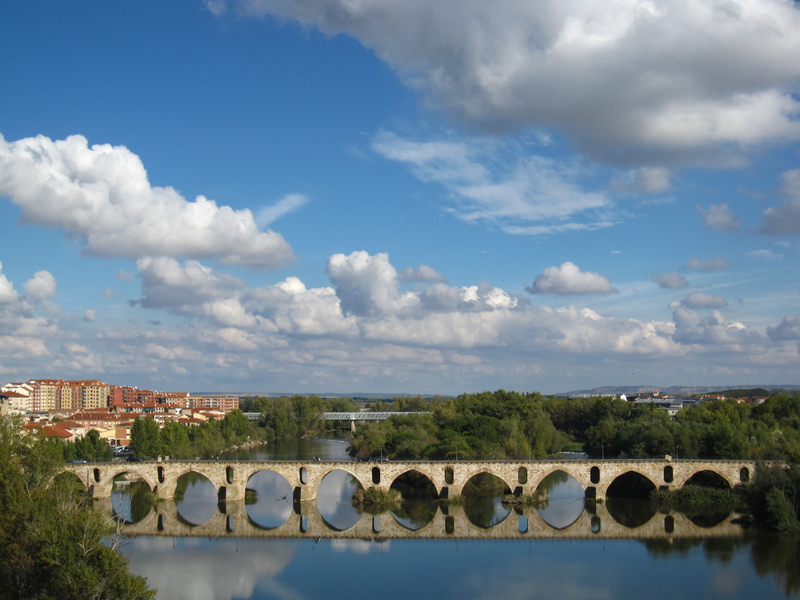 Zamora is a province in Spain we had never been to (GASP, I know! 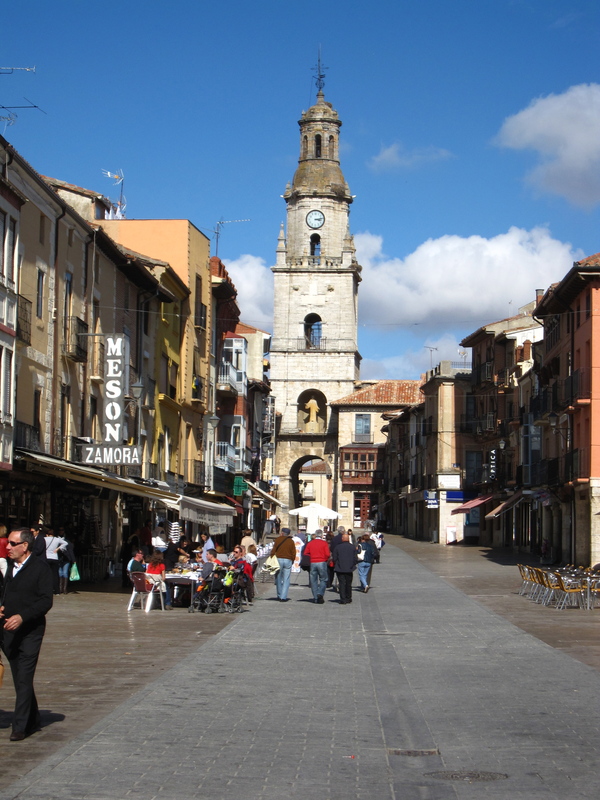 ), the capital of which is the town of Zamora. C found a SUPER cool place to stay nearby, and we spent Saturday exploring some new places. Probably better told in pictures, so here goes. C and I passed through Leon first to stop and see a monastery thingy, and we had the most aMAZing steak tartare for lunch. YUM. This was where we stayed. Sort of in the middle of nowhere, but a suuuper cool place. Basically a cement rectangle, with a bedroom and bathroom at either end and a kitchen/dining room/living area in the middle with floor to ceiling sliding glass doors on both sides. AND the guy has his own lil vineyard too (yes those are vines on the left). 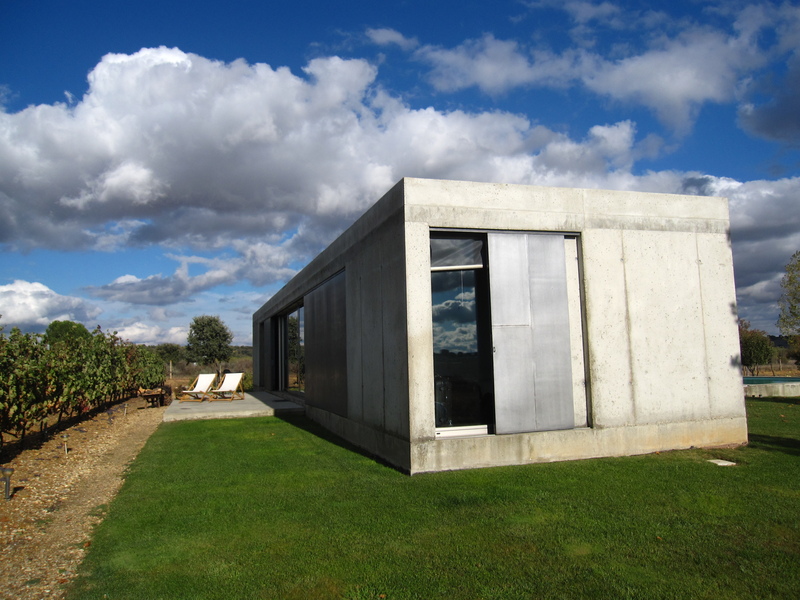 The guy who built the house is an architect and lives in Madrid so his dad actually makes the wine – and its GOOD!!! 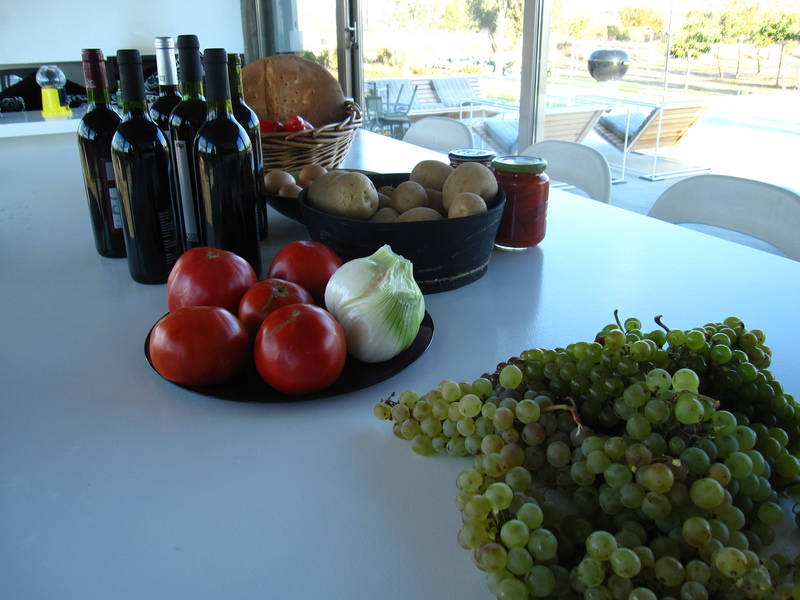 The bounty that they left/gave to us – fresh tomatoes, onions, potatoes from their garden and eggs as well, and a mountain of green grapes. Oh, most of that wine was ours, although he did give us two bottles to try of theirs (which we promptly went back and got more of). This is the back of the house. Great space outdoors, a pool, a grill…we might have to go back and take advantage of all those things in the summer. We stopped first in the little town of Toro, and had an AMAZING lunch of tapas. 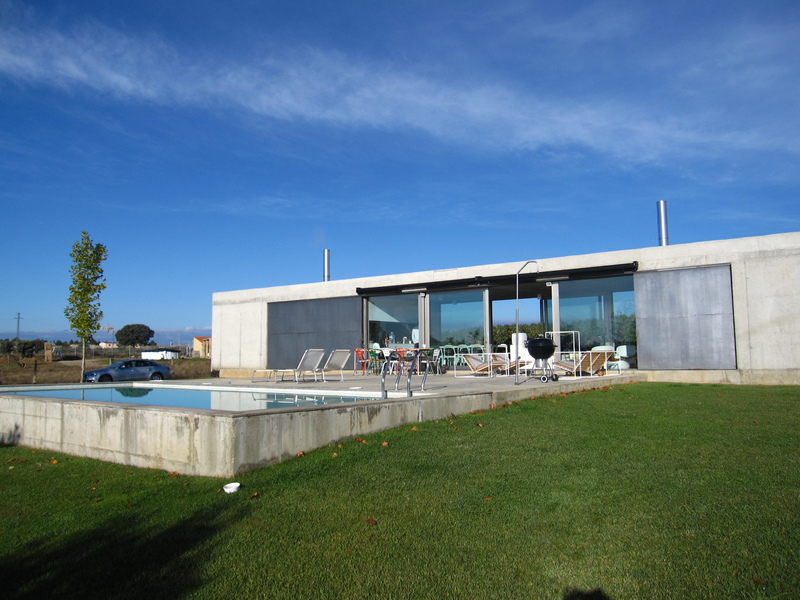 Toro is also a wine region, like Ribera and Rioja, and makes some absolutely fabulous wines. 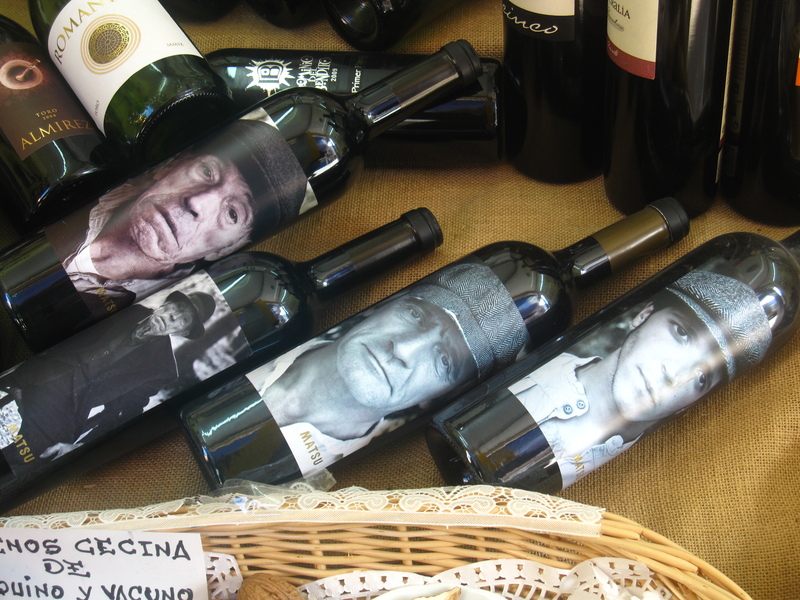 How great are these wine bottles? The age of the wine (how much time it spent in barrels) matches the age of the man on the label. PLUS it is darn good wine. 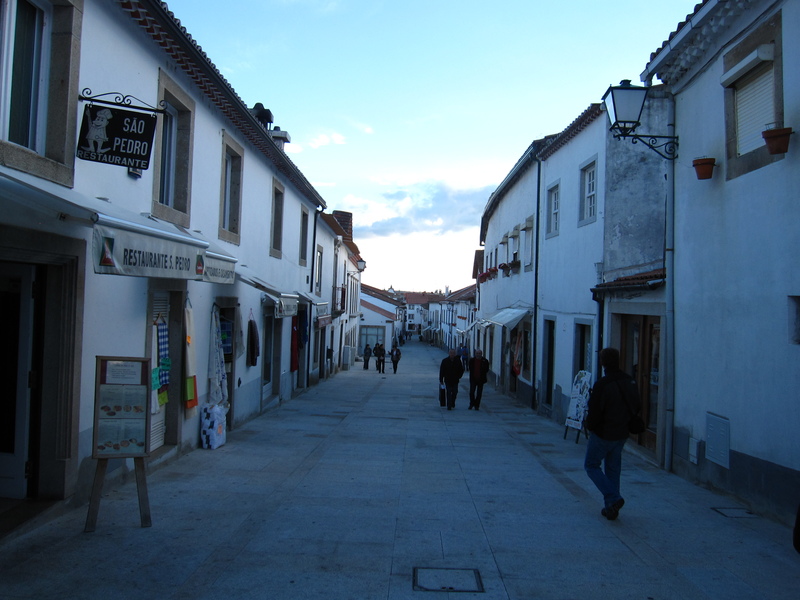 We even passed into a teeny town in Portugal. Not much to see, really, but now I can say I’ve been! Saturday night we had an INCREDIBLE dinner, worthy of a post in itself. 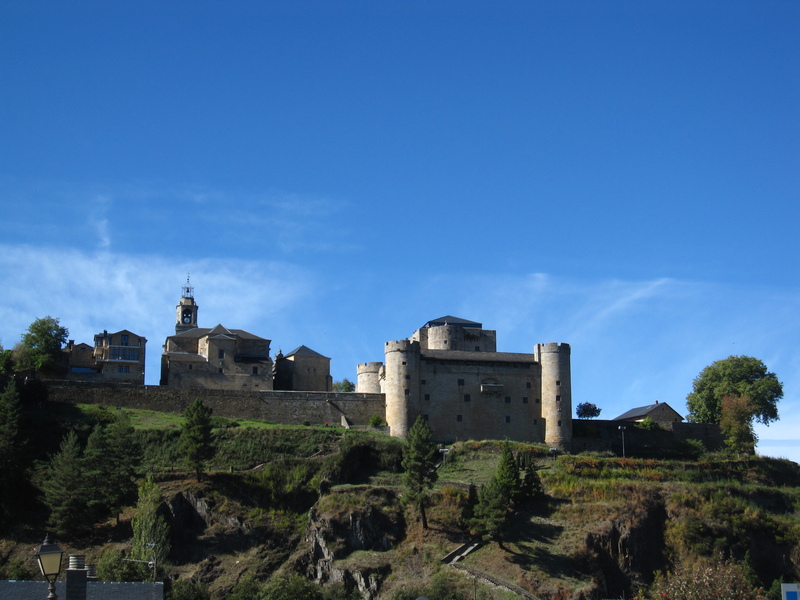 And Sunday we ventured into a most adorable town called Puebla de Sanabria. It was just so lovely and quaint, with the characteristic castle. 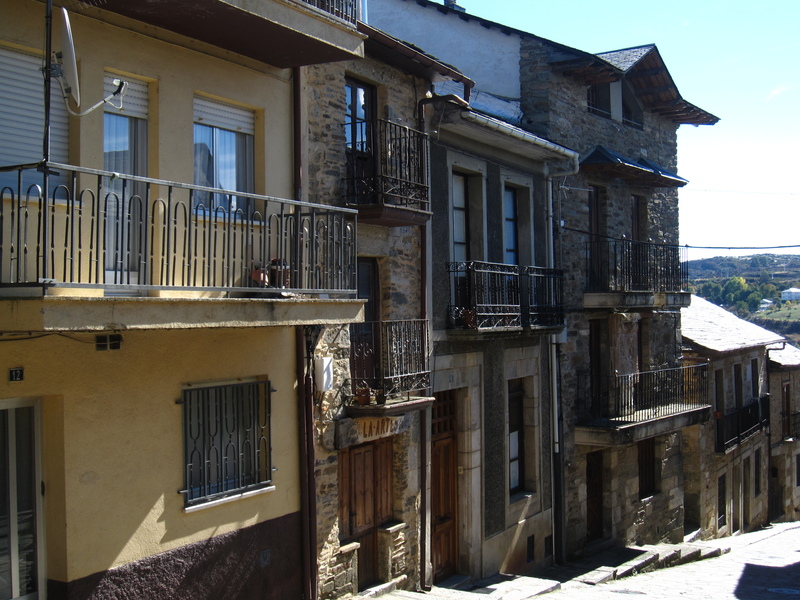 One of the streets in Puebla de Sanabria. 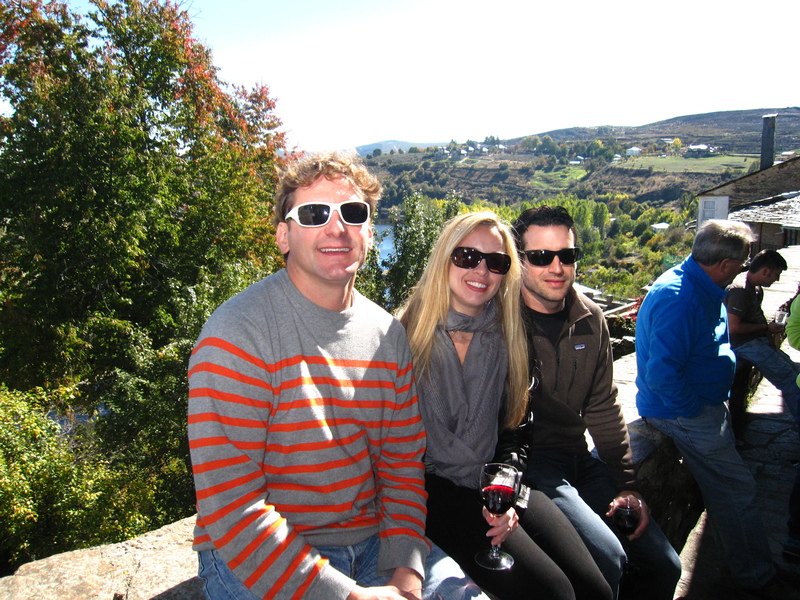 C, Tracie and Daniel enjoying the warm sun, a good glass of wine and a lovely view. 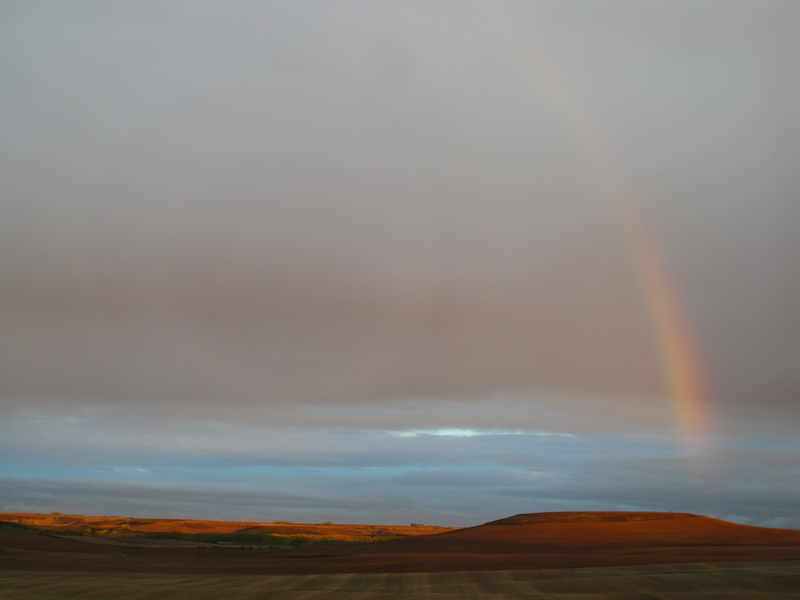 The weather coming back toward Cantabria always changes…we had a few beautiful days and then drove back into the rain. On the upside, it makes for some pretty gorgeous rainbows. This entry was posted in Uncategorized and tagged american in spain, spain, toro, travel, wine, zamora. Bookmark the permalink. 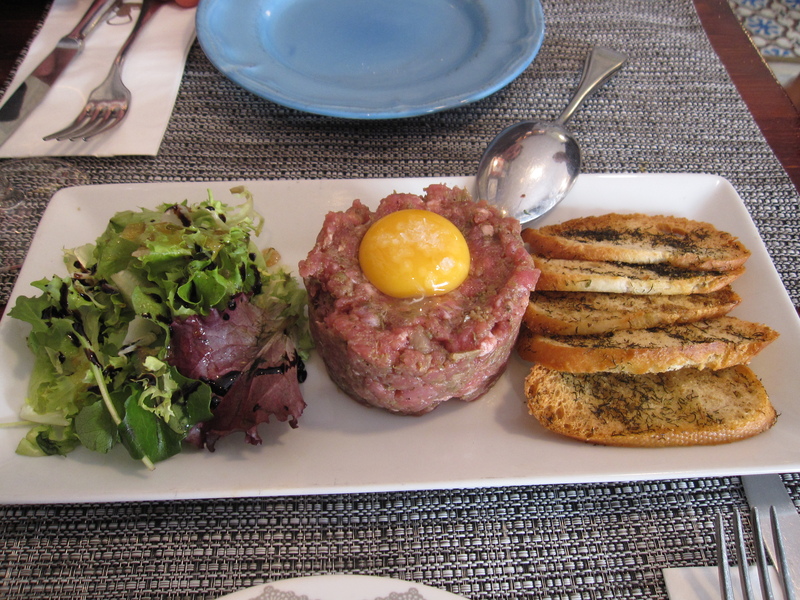 that steak tartare looks so delicious!! love this post, makes me want to go to Spain right now! thanks for sharing!